Print Barn Owl mobile part 1. Print Barn Owl mobile part 2. 1. 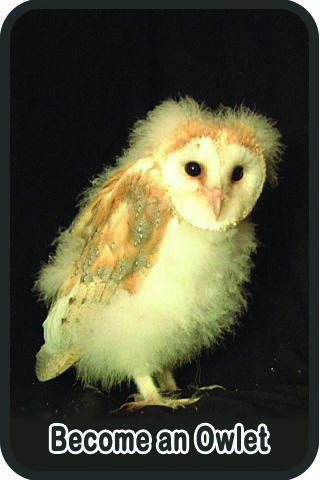 Print the two pages containing the different parts of the Barn Owl’s body. Use thick paper or thin card suitable for your printer. 2. Cut out the individual parts – be careful with scissors. 3. Glue the fronts and backs together so your barn owl is colourful on both sides. 4. Cut slots where shown by the thick black lines. Do not make the lines longer than indicated or the mobile will fall apart. (Ask a grown up if you need help). 5. Slot each body piece into the main body. The wing with the dark side up goes through the long slot on the back of the body, the tail with dark side up goes into the smaller slot at the end of the body, push the beak through the slot in the center of the face, attach the legs on the bottom of the body. 6. Make two holes and tie a thin piece of cotton to your mobile. 7. Hang up your Barn Owl and watch it fly!